How Can Dodge Keep the Challenger and Charger Interesting Until 2020? 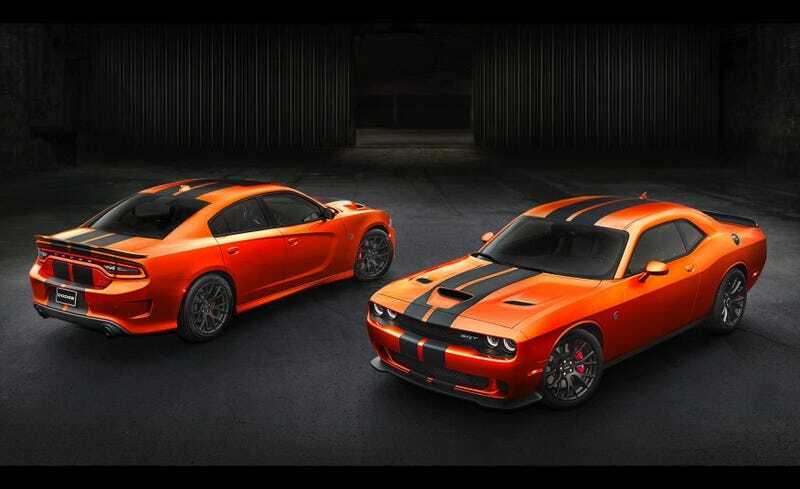 FCA has decided to keep the Charger and Challenger going for another 4 model years before they eventually switch over to the Giorgio platform. So if you bought the 4-door return of the Dodge Charger nameplate back in 2005 while you had a kid in a childseat, then that kid will be old enough to drive by the time the Charger switches off the LX platform. But this is great news! Think about it, FCA needs to keep these cars exciting for another 4 years and nothing is off limits. The crazier the better!! So what editions, trims, packages, paints, and doodads would you like to see come for the Charger and Challenger? Also, I STILL say the Chrysler 300 will be FWD. Hopefully we at least get the 300 SRT back just to see the 300 off (which was always a cooler car than the Charger). You Know The Next Chrysler 300 Will be FWD, Right? ***And if you’re going to complain about the cars still using the LX platform, VW just announced they will be running the MQB platform for another two generations of vehicles. So, ha ha!